On April 13-14, Roanoke College hosted the Spring 2007 MD-DC-VA Regional Meeting of the MAA. On Friday April 13, the workshop A bunch of questions I can’t answer about the game of Hex was presented by recent Alder Award winner Garikai Campbell from Swarthmore College. Later that evening, the always entertaining Ezra (Bud) Brown of Virginia Tech delivered the banquet address Hat Problems. On Saturday, Garikai Campbell gave the invited address My favorite elliptic curve and Jason Rosenhouse from James Madison University closed out the meetings with The Monty Hall problem revisited. Abstract: In this workshop, I will introduce the game of Hex. We will play the game, discuss some known facts, talk a little about winning strategies and "conclude" by thinking about a few open questions that I will pose. Abstract: Can you find four points on the parabola y=x2 such that each pair is a rational distance away? Can you describe all triangles whose three sides and whose area are rational? These and a whole host of other questions lead quite naturally to elliptic curves. In this talk I will introduce the topic of elliptic curves by way of problems like the ones above. We will observe the curious fact that some of these problems lead to the same elliptic curve. I will catalog some things that we know and some things that we would like to know about this curve. Biographical Sketch: Garikai Campbell received his PhD from Rutgers University and his BA from Swarthmore College, where he is currently an Associate Professor. Garikai often spends time looking for elliptic curves with large rank and non-trivial torsion, but when he's not doing that, he most likely spending time with his wife, helping coach his three boys' soccer teams or reading about new technologies. Abstract: Hat Problems are all the rage these days. You know about them, don't you? 'Course you do! A number of people enter a room and hats are placed on their heads. The object is guess your own hat color. In some games, you may only mention a color. In some games you may pass. In some games wrong guesses are not penalized. Sometimes the guesses are spoken. Sometimes the answers must be written. Sometimes the players are not allowed to communicate with each other during the game, but they can meet and plan a strategy. Some of these have connections with error-correcting codes and combinatorial designs. During this talk we will stage several of the Hat Problems. For this reason, audience participation is not merely encouraged, but required! Biographical Sketch: Ezra (Bud) Brown has degrees from Rice and Louisiana State, and has been at Virginia Tech since 1969, where he is currently Alumni Distinguished Professor of Mathematics. His research interests include number theory and combinatorics, and he particularly enjoys discovering connections between apparently unrelated areas of mathematics. 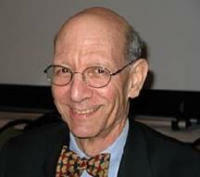 He was the recipient of this section's 1999 Award for Distinguished Teaching, and is a frequent contributor to the MAA journals. He enjoys singing (everything from grand opera to rock'n'roll), playing jazz piano, working with students who are engaged in research, and talking about his granddaughter Phoebe Rose. With his wife Jo's help, he has become a fairly tolerable gardener. He occasionally bakes biscuits for his students. Abstract: In the classical Monty Hall problem, a game show contestant is shown three identical doors. One of them conceals a valuable prize, while the other two conceal goats. The contestant chooses one of the doors. Monty Hall, the host of the show, now opens one of the remaining two doors, always choosing a door he knows to conceal a goat. After doing this, Monty gives the contestant the option of either sticking with his original choice, or switching to the other unopened door. After making this choice, the contestant receives whatever is behind the chosen door. Assuming the contestant wants to maximize his chances of winning the prize, what choice should he make? The problem is remarkably subtle, and its solution is highly sensitive to seemingly unimportant initial assumptions. We will show how the Monty Hall problem, together with certain variations of the basic situation, can be used to illustrate many fundamental concepts in the theory of probability. 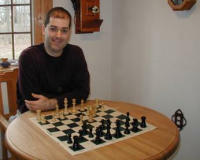 Biographical Sketch: Jason Rosenhouse received his Ph.D. in mathematics from Dartmouth College in 2000. After spending three years as a post-doc at Kansas State University, he became an assistant professor of mathematics at James Madison University in Harrisonburg, VA. His main mathematical interests are in combinatorics and number theory. 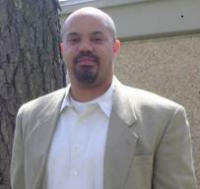 He is also a blogger for "Seed" magazine, where he writes about science and politics, focusing on evolutionary biology. His blog can be found at http://www.scienceblogs.com/evolutionblog.